#Are you in the List? In its 5th year, People Matters Are You In The List 2016 Awards successfully created the right ambience for the winners to walk on the red carpet and get the coveted tag of the Future HR Leader! When the red carpet was finally laid down for the winners to walk through – you could see the excitement, ease of tension, happiness on the faces of the ‘Fab 15’ who were just crowned the Future HR leaders of the country. 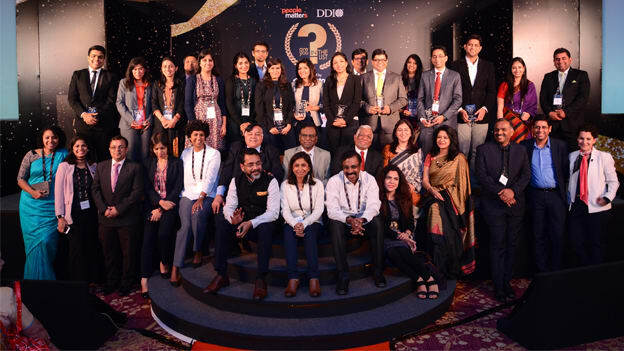 In the most anticipated HR awards events of India, People Matters in association with DDI’s ‘Are You in The List 2016’ saw about 2500+ applicants in the first phase and then 15 of them finally emerging as winners. The Jury members were seen satisfied with their decisions when they saw the winners receiving the awards! Every winner was being cheered loudly at the invitation-only Gala night. To commemorate the 5th year of the Awards, People Matters hosted the Gala night in the same room from where it had started five years ago. Indeed a very emotional and special moment. Are You In The List Award journey was conceptualised in 2012 in collaboration with Development Dimensions International (DDI) with “a mission to be a promoter for recognizing emerging HR professionals and leaders who have that spark that we think would be instrumental in advancing the HR function and augmenting its long-term business value,” she added. SHAVETA ARYA, Senior Manager, Talent Acquisition, PepsiCo. SHREYAS HARIDAS, HR Business Partner, Star India Pvt Ltd.
Are You In The List Award is a platform for HR managers in the age group of 26-35 years, with minimum work experience of 3 years in the capacity of HR. The 8-month long process of selection saw about 2200 applications from India across HR verticals. Jacob Jacob Chief People Officer at Apollo Hospitals Enterprises Ltd. The evening ended in an exciting note and HR professionals were seen hobnobbing with each other on how to take HR to the next level. It was not just the winners who gained but everybody who attended the event learnt something new and indispensable. A successful script is when everybody goes home happy – and this Award epitomised just that! The 2016 List is Out: The 'Fab 15' of Emerging HR Leaders! New Milestone for the Future of HR: Are You In The List 2016?